SurvivorNZ: Thailand (2018) - 16th place, 3rd out. Voted out in Episode 3 (Day 9). NZ: Thailand Ep. 1 RC: With Karla, loses a point to Tess and Kaysha; Chani loses. NZ: Thailand Ep. 1 IC: Loses a big lead (vs. Matt) on the ropes obstacle; Chani loses again. NZ: Thailand Ep. 2 RC: "Smash & Grab" - Retrieves the ball for Arun, but Chani loses again. NZ: Thailand Ep. 3 RC: "Idol Hands" - Beats Lisa twice, including on the winning point; Chani wins, 10-3. NZ: Thailand Ep. 3 IC: "Deep In Thought" - Retrieves one of the two wheels Chani gets; Chani loses big. NZ: Thailand Ep. 1 Ind. RC: In the second round, opens an empty box, does not advance (tie-4th/18). NZ: Thailand, Ep. 3: Six votes, from Arun, Dave, Eve, JT, Liam, and Renee (voted out, 6-1). Spy News (10/9/17): "Kiwi social media star takes on Survivor NZ"
Stuff.co.nz (4/8/18): "Survivor NZ contestant Franky March says health problems haven't defined her"
ZM Online (4/9/18): "Meet ZM's Survivor New Zealand wild card - Franky!" George Fenwick at the New Zealand Herald (5/7/18): "Survivor NZ's Franky March calls out 'chauvinistic attitudes' behind shock elimination"
Woman's Day (5/8/18): "Franky March opens up on her traumatic Survivor experience"
"Franky is out to prove that you shouldn’t judge a book by its cover. Referring to judgemental people as “battlers” Franky said she’s already faced one of her biggest fears, allowing other people to base their opinion of her from the internet when she entered and won the public’s vote as the ZM Wildcard. Why did you apply for Survivor? I wanted to break unwarranted stereotypes about people in my industry - it all looks very glam, and people put you in a box unfairly. I genuinely knew that I was up for the challenge as I am sport crazy, and because of this, I knew I would be a unique addition to the cast! 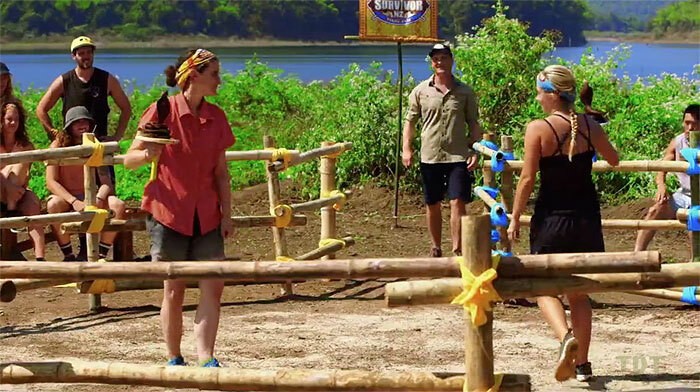 Thoughts on Alliance or Immunity Idol? Making alliances with the right people is critical, the hard bit is finding out who you can really trust. If I find an Immunity Idol, I’m keeping it a secret! Unless I need help finding it. And, I am not going to do a Henry from Australian Survivor and go home with it! What’s your strategy on the island? Be authentic! I am never going to hide or change who I am to make others happy. Being one of the Wildcards, I know I will be very different to most contenders, as I am heading into the game with the other castaways already knowing who I am. The castaways have had the opportunity to be able to research me via social media and form an opinion about me. But, any genuine decent person will judge someone based on getting to know them in person, rather judging via the internet. 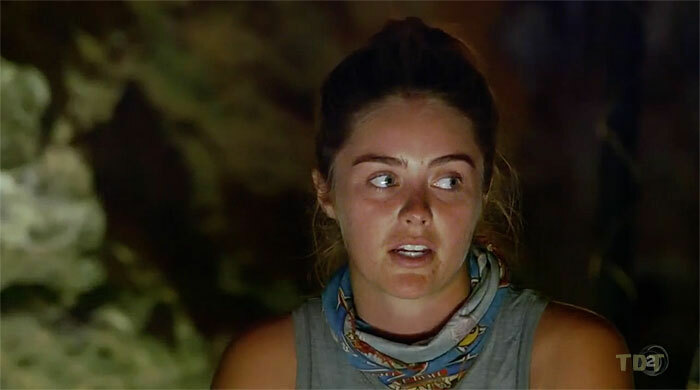 Why do you think you should win Survivor? I am the epitome of ‘don't judge a book by its cover’. I am representing all the people who have been put in a box and unfairly judged. I am a complete fish out of water in this environment, but I’m still throwing myself out there!"